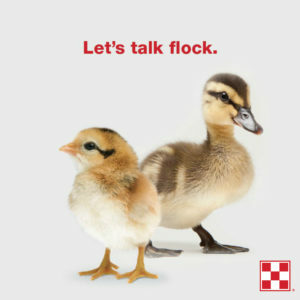 Sign up for Argyle Feed’s Flock Talk Chick Workshop on Tuesday, March 26th at 6:30 pm. Come hear about the essentials of raising healthy chicks. Preparing for your baby chicks, brooder essentials, and predator control. Our store is stocked with all things chicks including heat lamps, Start & Grow Chick feed, waterers, shavings and more. Call the store at (940) 241-2444 to reserve your spot or you can register below. Registered attendees will receive 1 free bag of Purina Start & Grow feed per family. Register below. Bring the kids, it’s a family event at Argyle Feed! Sign me up for your monthly newsletter! This entry was posted on Friday, January 25th, 2019 at 10:00 am	and is filed under Chicks, Events, News & Updates. You can follow any responses to this entry through the RSS 2.0 feed. Both comments and pings are currently closed.